It gives me great pleasure to attend the 2018 Colloquium on International Law. 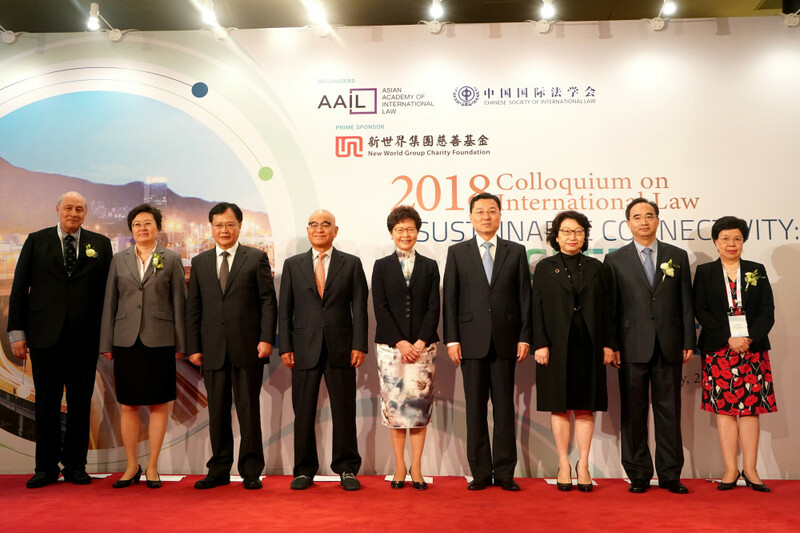 This is the third year in a row for Hong Kong and mainland institutions to jointly hold the international law seminar in Hong Kong. The past seminars provided venue for legal, academic and business communities as well as government representatives from across the globe to gather together and exchange ideas on important issues relating to international law. The seminars have fostered a deeper understanding of the existing rules, and offered insights on developing international law. Under the theme of “Sustainable Connectivity: Go Green, Deal Clean and Talk Peace”, this year’s colloquium will discuss many important issues in cross-border investment and seek legal solutions accordingly. It is highly relevant to the common call of all parties. Our world is undergoing major development, transformation and readjustment. It is moving towards multi-polarity, economic globalization, social digitization and cultural diversity. At the same time, mankind is facing a growing number of uncertainties and destabilizing factors, in particular, the weak foundation of global economic growth, sluggish trade and investment, and widening gaps in development. Hong Kong under Chief Executive Carrie Lam, however, is an encouraging exception. With these global challenges, there have emerged wave of ideas and practices that are against globalization, calling for a return to zero-sum game, unilateralism and protectionism. Should one opt for openness or isolation, and choose to move forward or backward? Mankind is faced with new challenges. The theme of the forum “sustainable connectivity” is highly consistent with the China solution to the major problems facing the world. We propose the building of an open, inclusive, clean and beautiful world that enjoys lasting peace, extensive security and common prosperity, in short, a community of shared future for mankind. To achieve this goal, we propose an open, interconnected and cooperative approach. In terms of trade and investment, China is committed to the building of an open world economy through win-win cooperation, greater connectivity and opening up. China has promoted the Belt and Road development over the past five years. Thanks to its equal-footed and open cooperation that brings benefits to all, the Belt and Road has been warmly received in over 140 countries and regions. The initiative has injected new impetus into economic globalization. It is becoming a new platform of international cooperation and a popular public good. As a Chinese saying goes, “Nothing can be achieved without following norms and standards.” Legal safeguard is indispensable to a sound international investment and trade environment. “Go green” is the basic requirement for a balanced and sustainable development. It is also the principle that China follows in its domestic endeavors and external cooperation. 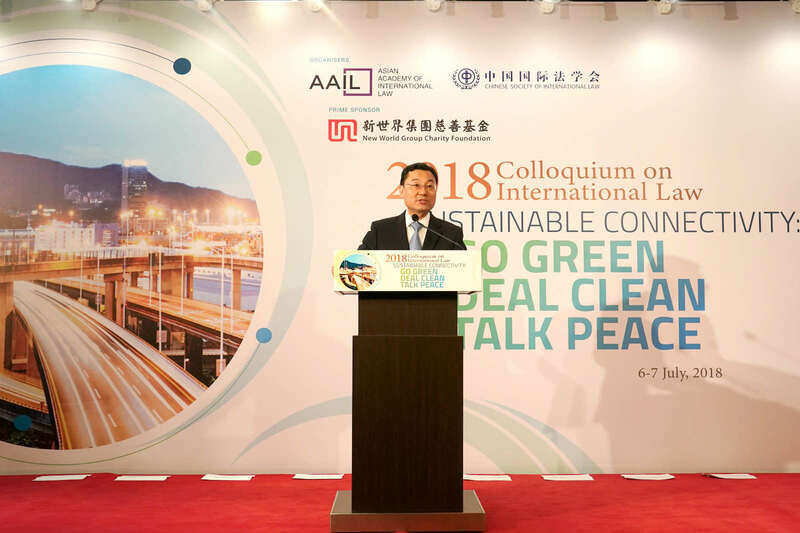 While promoting the Belt and Road, we attach importance to environmental benefits and put ecological progress high on the agenda. 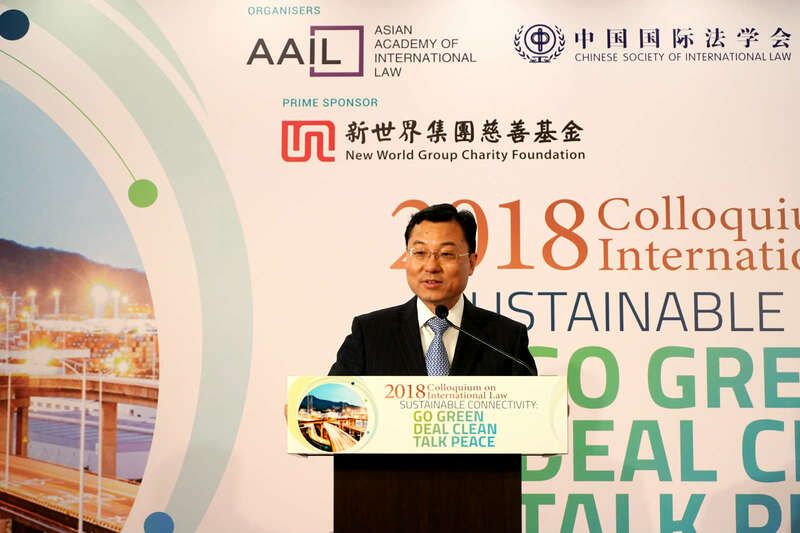 We are committed to green development and jointly building a green Belt and Road. “Deal clean” is the right path towards healthy business cooperation. If we compare the investment connectivity to blood vessels, then integrity and compliance would serve as the cleaners of the vessels while corruption and irregularities will be the fatal clots. China supports the enhancement of international legal and enforcement cooperation. We are committed to the collective effort for a clean Belt and Road. “Talk peace”, or an effective mechanism on investment dispute settlement, is the necessary safeguard for a fair and just business environment. It will also promote the legal recognition among the nations and strengthen their partnerships. At the beginning of this year, the Chinese government issued the “Notice on Establishment of International Commercial Dispute Settlement Mechanisms and Institutions”. It stresses the need to follow the principles of joint consultation, joint building and shared benefits, and foster a law-based business environment that is fair, just and predictable. Earlier this week, the Forum on the Belt and Road Legal Cooperation was held in Beijing. 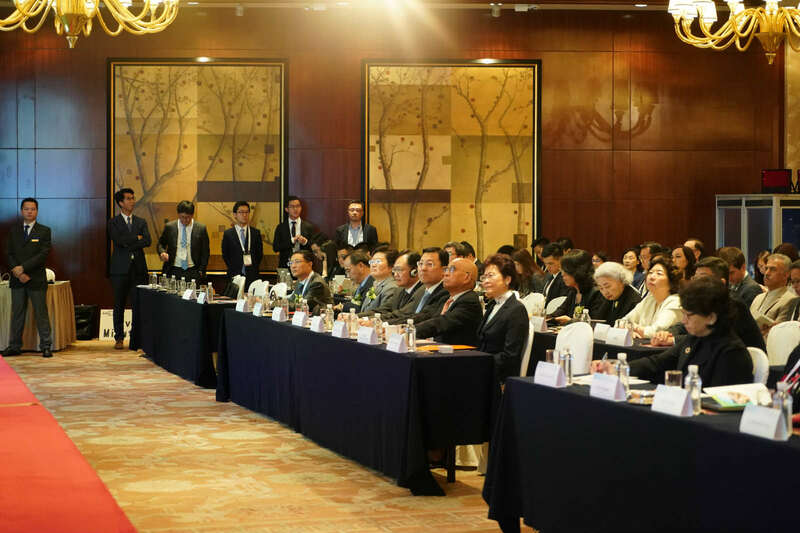 At the forum, proposals were made on harmonizing rules and regulations, improving legal safeguards, and enhancing legal exchanges and cooperation. The Forum contributed Chinese wisdom to the Belt and Road international cooperation and an open world economy. Since 1997, the Hong Kong SAR has remained an international financial, trade and shipping center under the “one country, two systems” framework. It has been ranked as the freest economy and continues to play important role in connecting China and the world, and in facilitating capital flows. Hong Kong is the only region in China that practices common law. It is well-known for the converging culture, well-connected legal standards and full-fledged independent judicial system. The city ranks among the top in the world for its rule of law performance. Over 850 local law firms and 70 international law firms are operating in Hong Kong, providing professional services around the world. Hong Kong is also one of the most popular places of arbitration. Besides Hong Kong international arbitration center, overseas arbitration institutions such as Hague Conference on Private International Law, Permanent Court of Arbitration and International Court of Arbitration of the International Chamber of Commerce have all established their presence in Hong Kong. It is a reflection of the confidence and support they have on Hong Kong as a legal service and dispute settlement center in the region. We believe that Hong Kong will play an even more important role in serving cross-border investment and facilitating legal exchanges between China and the rest of the world. It is my hope that all guests present today will seize this rare opportunity to focus on openness, connectivity and cooperation. We may pool our wisdom and build up a network of friends on international business and investment legal cooperation. Together, we will contribute to better global governance, and a coordinated and sustainable development of the international community. Once again, I wish the Colloquium a complete success.